Music lovers, behold: Your hero is here. 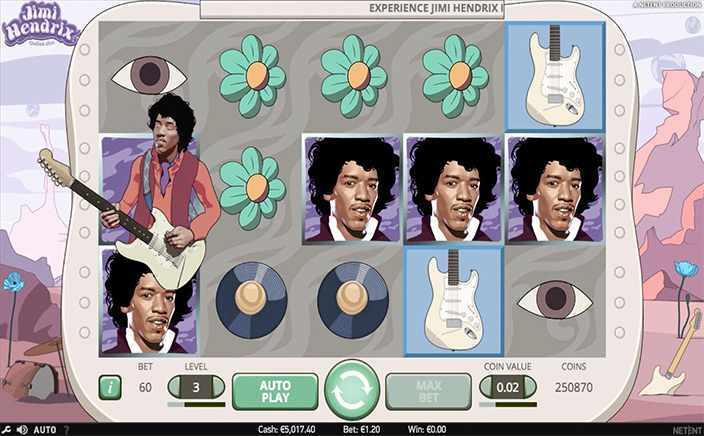 With Jimi Hendrix being one of the most pathbreaking guitarists of all time, this slot game serves as a fitting tribute to him, complete with pieces of his most popular works. Get ready for some fun bonus features as well, so that you can earn money as you sing along. 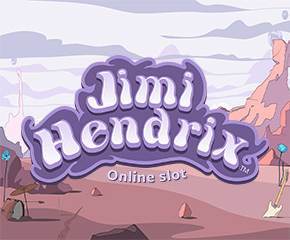 Jimi Hendrix has been developed by NetEnt, a Scandinavian gaming company that has brought out some of our most popular slot games that we have had the pleasure and good fortune of playing. This particular slot game gives you a wonderful experience on the mobile phone and is great fun to play. Jimi Hendrix is a fitting tribute to the man of peace, love and excellent music. The background riffs are more attuned for someone who is an actual fan of the man as it has a lot of repetitive playing of some of his greatest hits. The slot has 5 reels and 20 paylines and gives you plenty of bonus features to win some cash on your way. You can start playing by placing your wager and then seeing what the reels have to offer you. Wild Substitutions: The Jimi Hendrix symbol is the wild in the game and can be used to make a complete payline if you are falling short of matching symbols. Purple Haze Wild: There is also a purple coloured Jimi Hendrix symbol playing a guitar that also acts as the wild symbol and will only show up on the first reel. It can convert other symbols into wild ones for you, and only for that particular spin. Red Guitar respins: The highest value symbol is the one of the red guitar and getting four of these guitars will give you respins that will keep the guitar symbols in place as the spins continue. This is a great way for you to make some extra cash as you play. Coin win: You can get as much as 30x your bet in pure coins. Crosstown traffic free spins: This option gives you six free games in which you have the wilds moving to cover two reels. Purple Haze free spins: This turns any of the card symbols to wild symbols so you can make more winning paylines. Little Wing free spins: This gives you 6 to 12 free spins in which you can get 3 to 5 wild symbols appear in addition to what you already have on the reels and that means a bigger win.